Tom and Svein continue the Steeltown extravaganza! This episode sets up the coming deep dives with perspectives on the album from vintage album reviews, and (primarily) submitted Speakpipe messages where listeners share their thoughts, memories and impressions of Steeltown. Tom and Svein read out loud some of the reviews that Steeltown got at the time. The mind boggles at the intensity of hatred on display. The guys send some of that hatred back. The review that DARED compare Steeltown unfavourably with Billy Joel’s “Allentown”. This analysis is dissected and torn to shreds. Speakpipe contributions from Dwayne Bunney, “Negative 1”, Dermot Owens, Gary Clark, Adam Soltys. Tom and Svein discuss the point about whether Wonderland could have provided the album the hit single it needed. They also look at the old Country Club magazine poll for favourite song on Steeltown, and their minds boggle at the results. Speakpipe contributions from Arlin Bartels, Kenny Henderson, David Browne, John Lewis. Tom and Svein discuss some of the perspectives around how imagery can hit you differently as years go by. Speakpipe contributions from Lisa Knell, Claus Tappert, Mark Cole, Mark Dunne-Willows. Tom and Svein discuss the points brought up that while many of the songs on Steeltown paints a bleak picture, sometimes the reality was less bleak and not always that bad. Speakpipe submissions from Oliver Hunter, Kaare Crowley and Tim Eldred. THE deep dive! 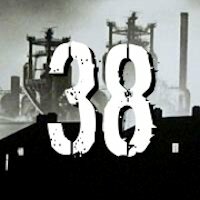 The guys discuss each song on Steeltown in-depth, and manage to wrap up the album discussion in style in this one and single episode!